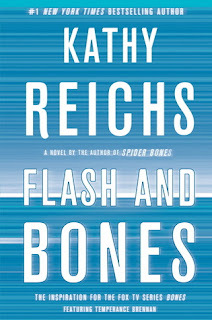 #1 New York Times bestselling author Kathy Reichs, a producer of the Fox hit show Bones, is back with her fifteenth “pulse-pounding” (Publishers Weekly) novel featuring North America’s favorite forensic anthropologist, Tempe Brennan—a story of infanticide and murder set in the high stakes, high danger world of diamond mining. In a run-down Montreal apartment, Tempe finds heartbreaking evidence of three innocent lives ended. The landlord says Alma Rogers lives there—is she the same woman who checked into a city hospital as Amy Roberts, then fled before doctors could treat her uncontrolled bleeding? Is she Alva Rodriguez, sought by a man who appeared at the crime scene? Heading up an investigation crackling with the sexual tension of past intimacies, Tempe leads homicide detective Andrew Ryan and police sergeant Ollie Hasty along the woman’s trail and into the farthest reaches of mining country—where the grim industry of unearthing diamonds exacts a price in blood. And where the truths the unlikely trio uncovers are more sinister than they could have imagined. My thoughts: This was quite an interesting installment in the Temperance Brennan series...I never know just where the case is going to take us and boy oh boy this one was quite a compelling, yet tough ride. It was a little hard to get through at times, due to the sensitive nature of the babies that kept turning up dead, but then when the diamond connection turned up, it just became really interesting. I really do love the facts that Kathy Reichs is able to impart throughout her books - I always feel like I walk away from her books with little tidbits of knowledge about a wide array of topics. There was an interesting dynamic going on for Tempe in this book - not only was Ryan involved in this case, but so was an old fling of Tempe's and that sure did make for some tense moments. It definitely put Tempe on guard, trying not to stir the pot by making either jealous as both happen to be exes as of this case. It was comical to watch, though I'm sure Tempe didn't think so! 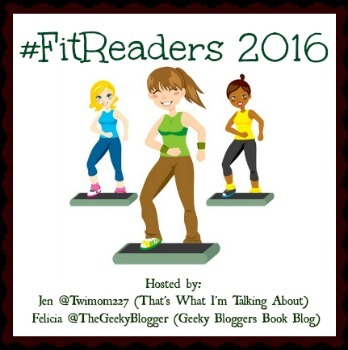 Audio thoughts: Yay...another book narrated by Linda Emond! 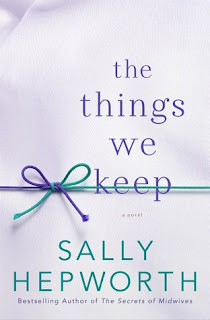 While I know it's only a matter of time before the narrator switches, I am enjoying this long spree of books with a consistent narrator while it lasts. I think Linda does a great job with the voices and pacing in this series. It was an ok week. I was really tired all week for some reason, so getting up to go to the gym didn't really happen after Monday...not sure what's going on there. I still have my head cold, though it is much better. I think fighting that is really taking a lot out of me. Hopefully, now that it seems to be mostly gone, next week I can get back to my regular routine - I seem to sleep much better on the days I get to the gym! Just as 200,000 fans are pouring into town for Race Week, a body is found in a barrel of asphalt next to the Charlotte Motor Speedway. The next day, a NASCAR crew member comes to Temperance Brennan's office at the Mecklenburg County Medical Examiner to share a devastating story. Twelve years earlier, Wayne Gamble's sister, Cindi, then a high school senior and aspiring racer, disappeared along with her boyfriend, Cale Lovette. Lovette kept company with a group of right-wing extremists known as the Patriot Posse. Could the body be Cindi's? Or Cale's? At the time of their disappearance, the FBI joined the investigation, only to terminate it weeks later. Was there a cover-up? As Tempe juggles multiple theories, the discovery of a strange, deadly substance in the barrel alongside the body throws everything into question. Then an employee of the Centers for Disease Control and Prevention goes missing during Race Week. Tempe can't overlook the coincidence. Was this man using his lab chemicals for murder? Or is the explanation even more sinister? What other secrets lurk behind the festive veneer of Race Week? 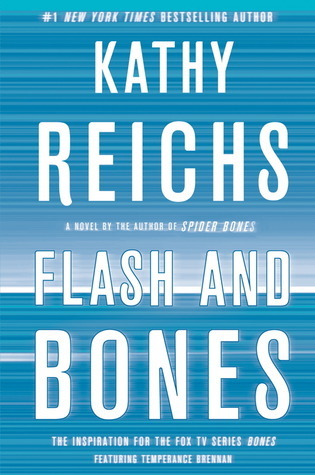 A turbocharged story of secrets and murder unfolds in this, the fourteenth thrilling novel in Reichs's "cleverly plotted and expertly maintained series" ("The New York Times Book Review"). 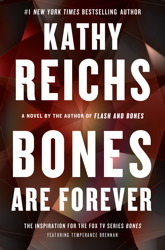 With the smash hit "Bones "about to enter its seventh season and in full syndication--and her most recent novel, "Spider Bones, "an instant "New York Times "bestseller--Kathy Reichs is at the top of her game. My thoughts: Being a Nascar fan, I really enjoyed this installment!!! I loved all the references to racing and the bits of history that Kathy Reichs included about the history of how racing came to be. For instance, she mentioned that 40% of Nascar fans are female, and I'm proud to say, I'm definitely part of this statistic! Of course, having Tempe based in Charlotte, N.C., it was only a matter of time that a storyline involved Nascar, and I thought it was a great case. I also loved that Slidell was back...oh how I just love him!!! He's so quirky and it's always fun hearing about his interactions with Tempe. He hasn't been around in a while and I do hope this isn't the last of him! Then there's Summer, Tempe's ex-husband, Pete's new wife-to-be. What a trip she is! I love that Summer has found an ally in Tempe much to Tempe's dismay, so much that she goes as far as asking Tempe to help her get Pete to see reason with the wedding plans...these scenes were so comical!!! This has definitely been one of my favorite installments in the series but only because I am a Nascar fan. I could definitely see where if you don't like Nascar, this one might not be up your alley. 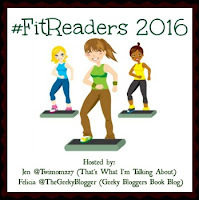 Audio thoughts: I've been lucky to have found a set of audios that Linda Emond has narrated. It's so strange that there are different versions with different narrators. But anyway - I am really enjoying listening to the same narrator narrate this series, especially as I catch up on this series. My only complaint remains the same with this production - the tracks are really long so it's hard to go back or switch from one place to another in the middle of a track - like move from car to house. I guess that's the drawback when using CD's as opposed to using audible or another program on my phone. Oh well, I manage, but I do prefer when the tracks are shorter, because there are times when I do want to re-listen to something, just because I've gotten distracted or I want to rehear something and with the longer tracks, I tend not to. 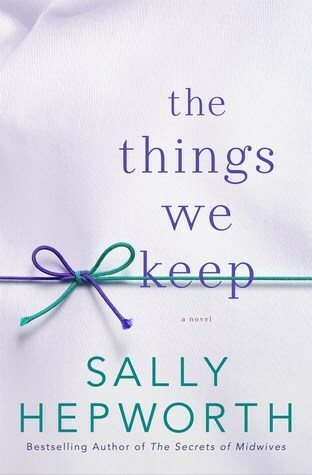 My thoughts: This is the first book I've read by Sally Hepworth and it is an absolutely heartbreakingly beautiful, yet thought provoking book. It's a hard book to put down once you get involved in it, yet one that you will not be able to stop thinking about once you finish reading. I loved the way this story was told, alternating between Anna, diagnosed with early onset Alzheimer's disease in her late thirties; Eve, suddenly a single mother, who begins working at the assisted living facility where Anna lives; and Clementine, Eve's 7 year-old daughter. This allowed for a different perspective on what was going on, as well as different story lines. The main story is Anna's, though Eve does have her own story to tell as well. But, what's equally interesting is that Anna's part is told in reverse order, while Eve and Clementine's is told straight forward. How clever and when you think about it, makes total sense! This story is definitely about loss, no doubt about that, though, not all loss is tangible. Anna is trying desperately to hold on to the person she was before her diagnosis and maintain some sort of dignity. She learns quite a bit when she befriends Luke, the other young person at the care facility with a similar diagnosis. Their relationship blossoms into something that no one expected and it's sweet, though not everyone agrees. But that begs the question - what drives a relationship - your mind or your heart? There is a lot of food for thought when reading this book. It's a compelling read that will leave you with many questions. But, isn't that the point when you read a book of this type? Isn't it supposed to get you thinking? I always think so. 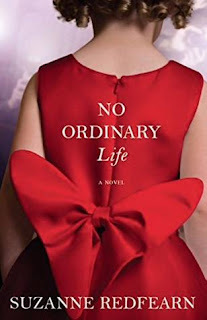 Thanks to the publicist I have one copy of No Ordinary Life to give away to my readers. To enter the giveaway, please fill out the form by February 2nd. This giveaway is open to US and Canada residents only and ends February 2nd.